If you have any questions feel free to email me at: ethaeggutter@ukmechanics.com . 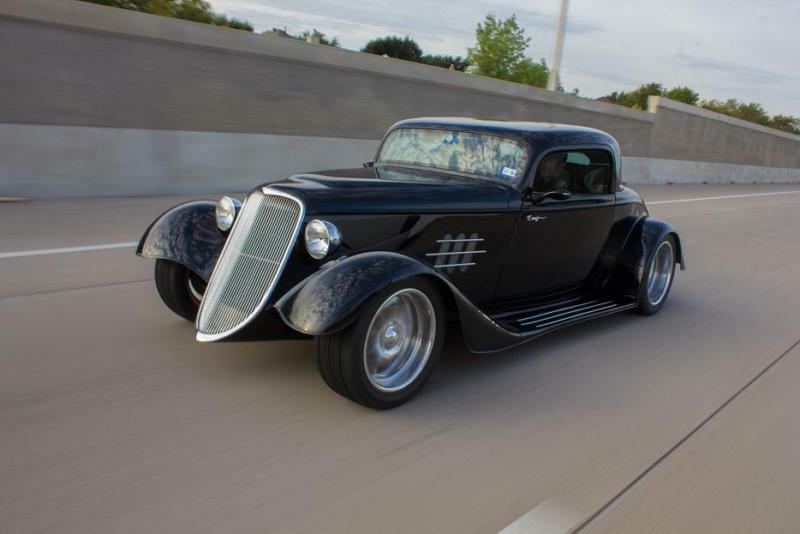 1933 Factory Five Hot Rod Coupe Custom hand built by Grubbs Motorsports 1300 Hour build time Over 165, 000 dollars to build One of a kind interior and design 200 miles since completion in 2015 This car was built here at Grubbs Motorsports in Garland Texas First, this is a one off build that has very little "kit" about it. From the hand made side panel heat extractors to the custom billet trim on the running boards this car is a 100% full custom show car. It started out as a build that could be driven anywhere anytime with new car reliability so we spared no expense on the kit or the drivetrain. The interior is a full custom 25, 000 dollar real leather show piece with hand built console, modified seats, hand carved and crafted real Birds eye Maple inserts, and a 5, 000 dollar stereo system that rocks.